The University of Wolverhampton has been awarded four stars in global rating system which assesses the strengths and weaknesses of universities worldwide. 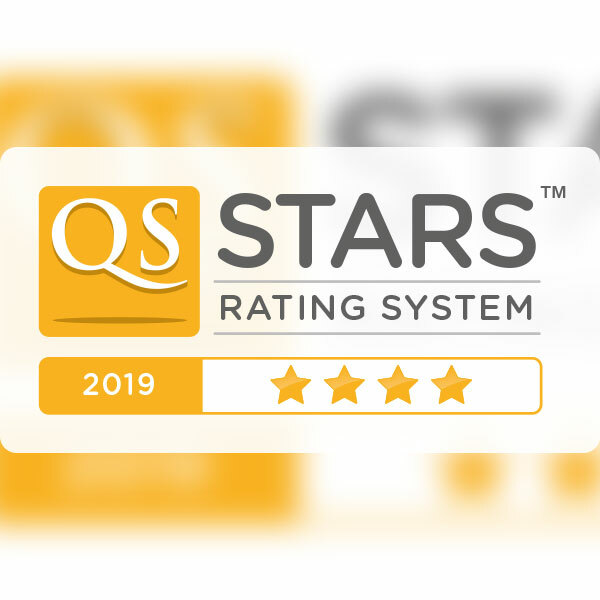 The QS Stars scheme provides a detailed look at institutions against several different categories and gives them an overall score as well as rating in individual areas. It aims to give international students an insight into worldwide universities and choose a university based on what is important to them. Universities are scored from 0 to 5+ stars as part of the independent system. Following its assessment, the University of Wolverhampton was scored four stars overall. It was also scored five stars for teaching, five stars for employability, two stars for research, five stars for internationalisation, four stars for facilities, three stars for innovation and five stars for inclusiveness. Professor Geoff Layer, Vice-Chancellor of the University of Wolverhampton, said: “It is fantastic news that the University has been recognised in this way by such a prestigious scheme. “QS Stars has become a deciding factor for prospective students, particularly internationally, who use the scheme to help influence their choice of institution. “It gives students an insight into universities across a range of measures and we’re particularly proud of the fact we scored five stars in some key areas such as teaching and employability. Since the launch of this service in 2010, the QS Intelligence Unit has rated more than 275 institutions in 45 countries with QS Stars.